The handheld control system adopts conversational operation, can switch Chinese or English pages, is easy to operate and learn and does not occupy space. LED displays important signals such as the safety door. The mold is allowed to be locked after being opened. The standby output point can be connected with other automatic equipment such as the conveyor belt and the release agent spraying unit. Looking for ideal Robot Arm For Injection Molding Machine Manufacturer & supplier ? We have a wide selection at great prices to help you get creative. 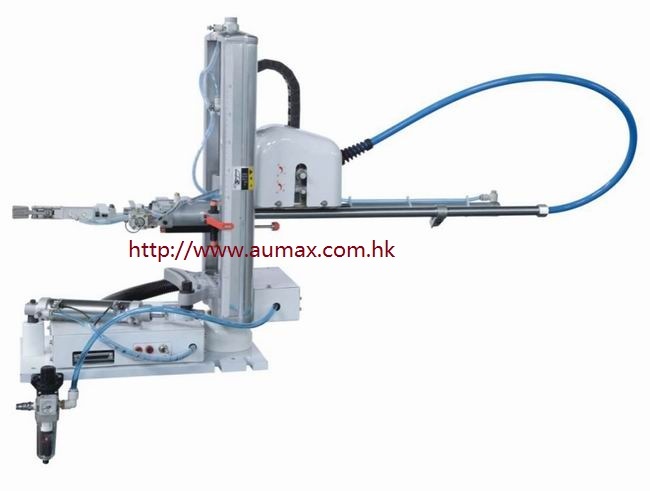 All the Plastic Robot Arm Machine are quality guaranteed. We are China Origin Factory of Robotic Manipulator Arm. If you have any question, please feel free to contact us.